08/03/15 – World of Spectrum scans added showing the game advertised for the 8-bits. 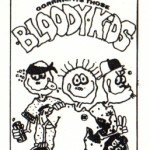 A quick entry for now until we learn more – but Bloody Kids was a game based on a comic strip that briefly featured in Skateboard Magazine. 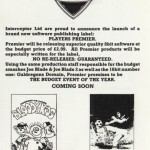 Players Software were to release the game as a budget title, but it seems it didn’t get a release on any platform. It’s even missing on the 16-bits! 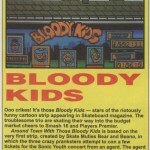 So what happened to it, and was a C64 version ever even started? Recently World Of Spectrum began discussing the game and posted an advert confirming that C64, Amstrad and Spectrum versions were to be released. What happened then?? Do you know more?